A California adventure featuring more pizazz than just the average Hookah Bar. Looking for an inexpensive yet classy place to go to on a weekend or during the week? Come visit us at Stogies' Hookah Hut, located inside the Pacific East Mall. We offer a unique and refreshing escape without the bother and expense of going into the City. We are Conveniently located on the border of Albany, right off the 80 Freeway. While we cater to smokers, we welcome everyone 18 and over so long as valid identification is handy. Stogies' Hookah Hut offers a variety of entertainment. 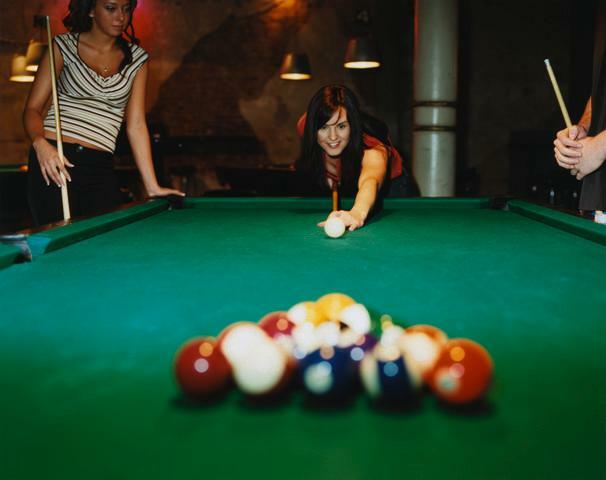 You can shoot a game of pool on one of our pool tables, play the latest video games in our arcade, or kick back and watch a game or boxing match on our big screen television. Or maybe you would like to relax alone or with a group and enjoy a hookah. There is even a gift shop on the lower level of the Hookah Bar featuring non-alcoholic beverages, snacks, California State Lottery, and even Western Union. For those of you who have done this before, no explanation is necessary. For those of you who have not yet experienced a hookah smoke-this is a must do! And, no, you don't have to be a smoker to smoke a hookah. A hookah is a Middle Eastern water pipe fueled by a variety of fruit flavored molasses. There are no chemicals or drugs added, and what's more, the water filters out most of the nicotine normally inhaled from an entire pack of cigarettes. The Hookah Hut offers a variety of the Al-Waha premium brand flavored tobacco, including apple, apricot, banana, bubble gum, cherry, grape, jasmine, lemon, licorice, mango, melon, mint, orange, peach, rose, and strawberry, as well as our own exotic house blends. $10.00 minimum for 1-2 smokers, and $5.00 for each additional smoker after that; cover charge is waived. The Hookah Hut offers private parties for all occasions, including birthdays, graduations, bachelor/bachelorette parties, holidays, and business meetings. Hours are extended to 1:00 AM PST on any evening for private parties. The charge for these private parties is $99.00/hour and the maximum capacity is 70 persons. There is a $5 cover charge for entering the Hookah Hut but this may be avoided if you rent a Hookah or shoot a few games of pool at $10/hour.